"In the nature of the use of chance operations is the belief that all answers answer all questions." n 1952, David Tudor sat down in front of a piano for four minutes and thirty-three seconds and did nothing. 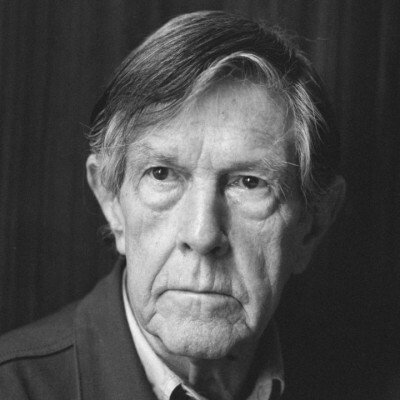 The piece 4’33” written by John Cage, is possibly the most famous and important piece in twentieth century avant-garde. 4’33” was a distillation of years of working with found sound, noise, and alternative instruments. In one short piece, Cage broke from the history of classical composition and proposed that the primary act of musical performance was not making music, but listening. Born in Los Angeles in 1912, Cage studied for a short time at Pamona College, and later at UCLA with classical composer Arthur Schoenberg. There he realized that the music he wanted to make was radically different from the music of his time. “I certainly had no feeling for harmony, and Schoenberg thought that that would make it impossible for me to write music. He said ‘You’ll come to a wall you won’t be able to get through.’ So I said, ‘I’ll beat my head against that wall. '” But it wasn’t long before Cage found that there were others equally interested in making art in ways that broke from the rigid forms of the past. Two of the most important of Cage’s early collaborators were the dancer Merce Cunningham and the painter Robert Rauschenberg. Together with Cunningham and Rauschenberg at Black Mountain College, Cage began to create sound for performances and to investigate the ways music composed through chance procedures could become something beautiful. Many of Cage’s ideas about what music could be were inspired by Marcel Duchamp, who revolutionized twentieth-century art by presenting everyday, unadulterated objects in museum settings as finished works of art, which were called “found art,” or ready-mades by later scholars. Like Duchamp, Cage found music around him and did not necessarily rely on expressing something from within. Cage’s first experiments involved altering standard instruments, such as putting plates and screws between a piano’s strings before playing it. As his alterations of traditional instruments became more drastic, he realized that what he needed were entirely new instruments. Pieces such as “Imaginary Landscape No 4″(1951) used twelve radios played at once and depended entirely on the chance broadcasts at the time of the performance for its actual sound. In “Water Music” (1952), he used shells and water to create another piece that was motivated by the desire to reproduce the operations that form the world of sound we find around us each day. While his interest in chance procedures and found sound continued throughout the sixties, Cage began to focus his attention on the technologies of recording and amplification. One of his better known pieces was “Cartridge Music” (1960), during which he amplified small household objects at a live performance. Taking the notions of chance composition even further, he often consulted the “I Ching,” or Book of Changes, to decide how he would cut up a tape of a recording and put it back together. At the same time, Cage began to focus on writing and published his first book, “Silence” (1961). This marked a shift in his attention toward literature. In the ’70’s, with inspirations like Thoreau and Joyce, Cage began to take literary texts and transform them into music. “Roratorio, an Irish Circus on Finnegan’s Wake” (1979), was an outline for transforming any work of literature into a work of music. His sense that music was everywhere and could be made from anything brought a dynamic optimism to everything he did. 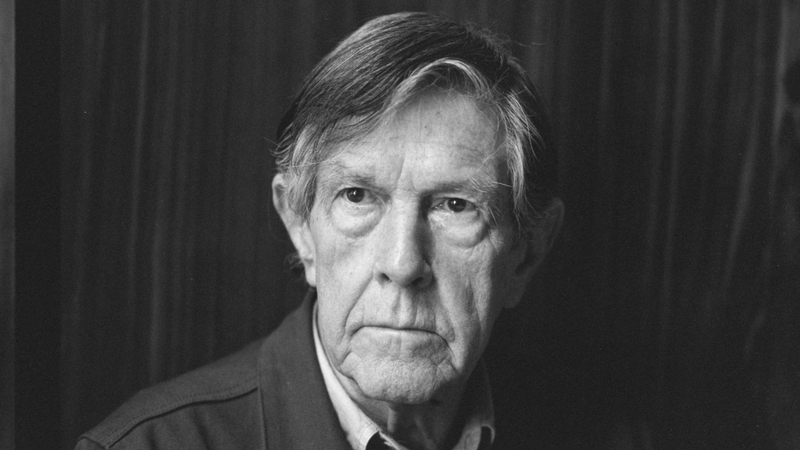 While recognized as one of the most important composers of the century, John Cage’s true legacy extends far beyond the world of contemporary classical music. After him, no one could look at a painting, a book, or a person without wondering how they might sound if you listened closely.